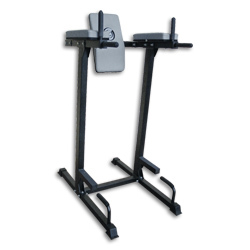 This unit is ideal for complete leg conditioning and strengthening of knees. Features special split pad. 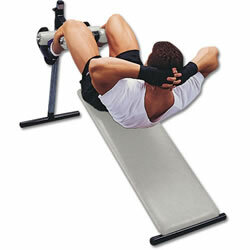 The split pad allows for the proper isolation of the hamstring muscles. 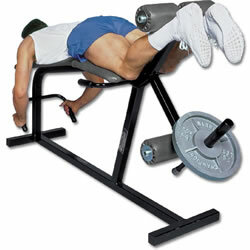 In the normal sit-up position it can be used for regular leg extension exercises. Plates not included. Black powder coated finish. This one-piece unit has 6 positions from 0? to a 30? incline. Just pop the spring-loaded pin in any of the 6 positions and you’re ready to go. The foam padded board is 16" x 44" and is covered with heavy marine grade vinyl. Ankle and knee pads are fully padded for comfort and support. Black powder coated finish. Pad color options: Black, Grey.This product ships by truck. 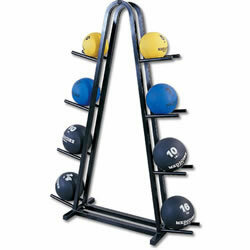 Choose from 3 size storage racks, 5, 8, or 16. 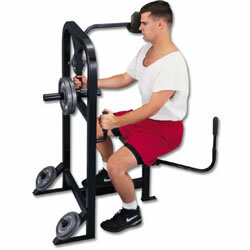 Heavy duty square steel construction with durable Black powder coated finish.